It’s hard to believe that Amazon, as a company, started out selling just books. If you take a look at how the business is now positioned, and its main products, it’s very much a hardware business with products like Fire TV Stick, Echo, and the Echo Show. The extremely low cost of the Fire TV Stick has made it a firm favorite with those looking to stream media. Here, we are going to look at how we can get the best possible performance out of that hardware. Without wasting any more time, let’s dive right in and take a look at a few of the things that every Fire Stick owner can do to try and improve the performance. Fire Stick firmware update: Most, if not all, companies who offer hardware such as this which runs an underlying operating system will offer at least semi-regular updates to keep things ticking along. Amazon is no different and is in the process of offering Fire OS updates to make sure things are seamless and working correctly on Fire Stick. With that in mind, you can follow the steps below to ensure that the firmware is up to date. Step 1: From the Home menu of the Fire Stick choose and head into the ‘Settings’ option. Within those options, you will find one titled ‘Device’. Select that. Step 2: Now select the ‘Check for System Update’ option. This will cause the hardware to poll Amazon’s servers and check to see if an update is available. If one is, then you can go through the update process. Step 1: Once again, you need to be in the Settings menu and then select the Device option. This is where all the power is. Step 2: Locate the Restart option, select it, and then confirm the restart command. As the name suggests, this will cause the hardware to reboot in an official capacity rather than unplugging and replugging it. Step 1: Once again, select Settings on the device and then Applications > Appstore. Step 2: Select the Automatic Updates features and make sure that it is toggled into the OFF position. Step 1: Select the Settings option from the main Home screen and then choose Applications > Manage Installed Applications. Step 2: Scroll through the list of installed apps. When you find one that could be causing a problem, or that you just want rid of, select it and then choose Uninstall. Step 2: Here, select Kodi and hit the Force Stop button. 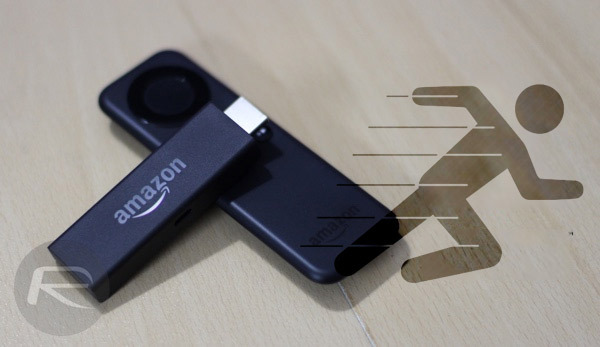 Disable Data Monitoring: If you’re not much bothered by not being able to track the amount of data the Fire TV Stick is using up, it is a good idea to disable the monitoring feature altogether since it does use up precious system resources, which if freed up, can translate into a smoother experience. Step 1: To begin, keep the Home button pressed on the remote, and navigate to Settings > Preferences > Data Monitoring. Step 2: Here, simply toggle the Data Monitoring option to OFF. Factory Reset: Well, if all else fails, it’s often a good idea to try a fresh start. It’s no rocket science what this means in terms of saved apps or data on the Fire TV Stick, but if you have the heart to let go of all that, and the patience to re-install all your apps, then this could be your savior. Step 1: Hold down the Home button on your remote and head over to Settings > Device and select Reset to Factory Defaults. Step 2: When asked to confirm, hit the Reset button. So there we have a fairly comprehensive selection of the steps that you can take to try and free up some resources on the device and get your Fire Stick performing optimally. Given how popular these devices are, and will continue to be, any small shred of improvement is always going to be valued by the user. An easy way to do a reset is by holding down both the select/center button at the same time as the the play/pause button until it says onscreen that the device is powering down.